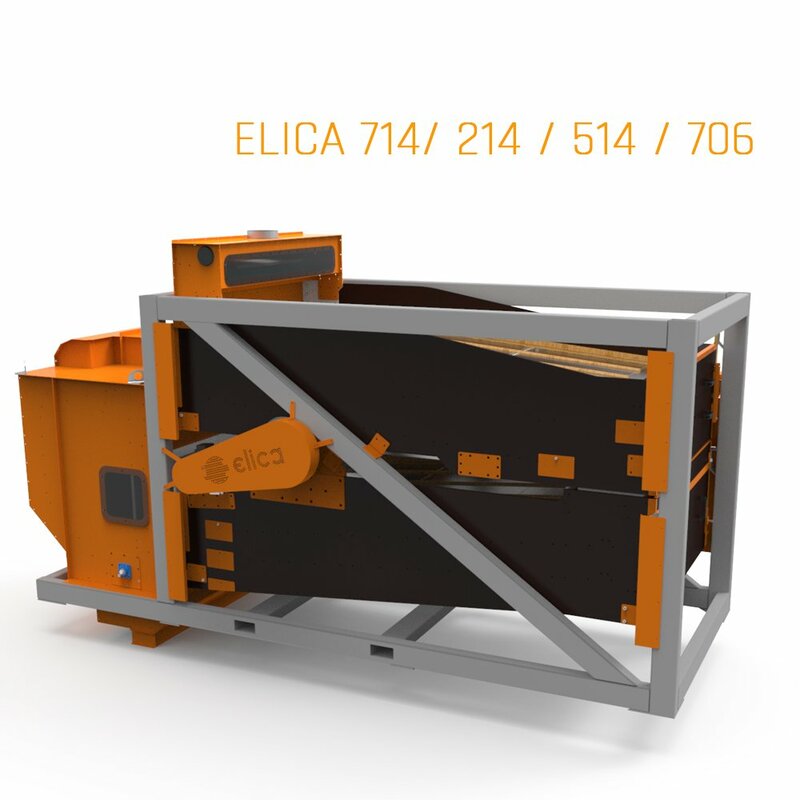 One of the first lines of specialization of ELICA were seed processing and cleaning machines. 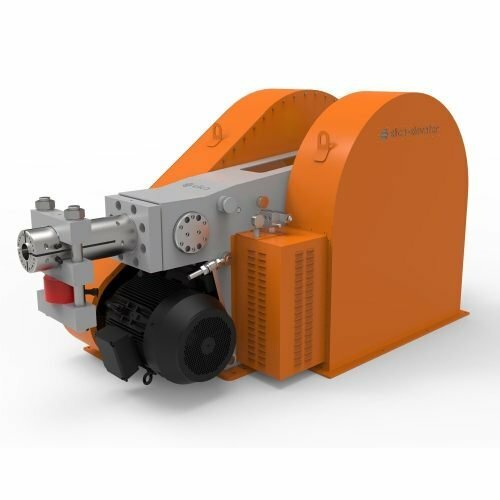 The wide range of cleaning machines offered by ELICA include machines with great efficiency and excellent performance for all types of grains. 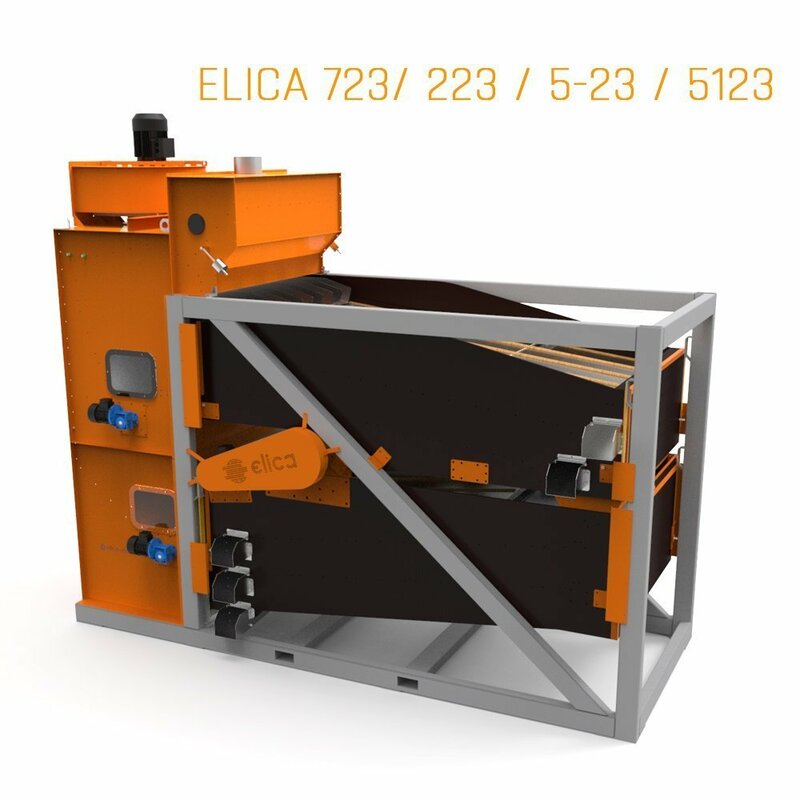 One of the first lines of specialization of ELICA were seed processing and cleaning machines. 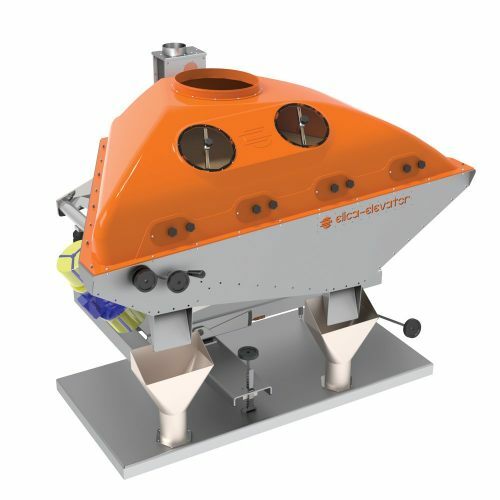 The wide range of cleaning machines offered by ELICA include machines with great efficiency and excellent performance for all types of grains. Major advantage of these cleaners is the position of the eccentric system. 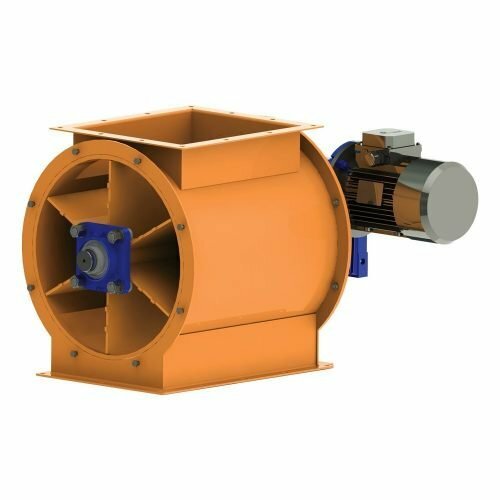 Instead of mounting it to the frame, the system is constructed to be placed on the lower shoe minimizing the vibration, excluding the need for heavy foundation and fortifications, and extending the service life of the equipment. Automatic control system (PLC) provides speed rotor control and fine setting of the aspiration. 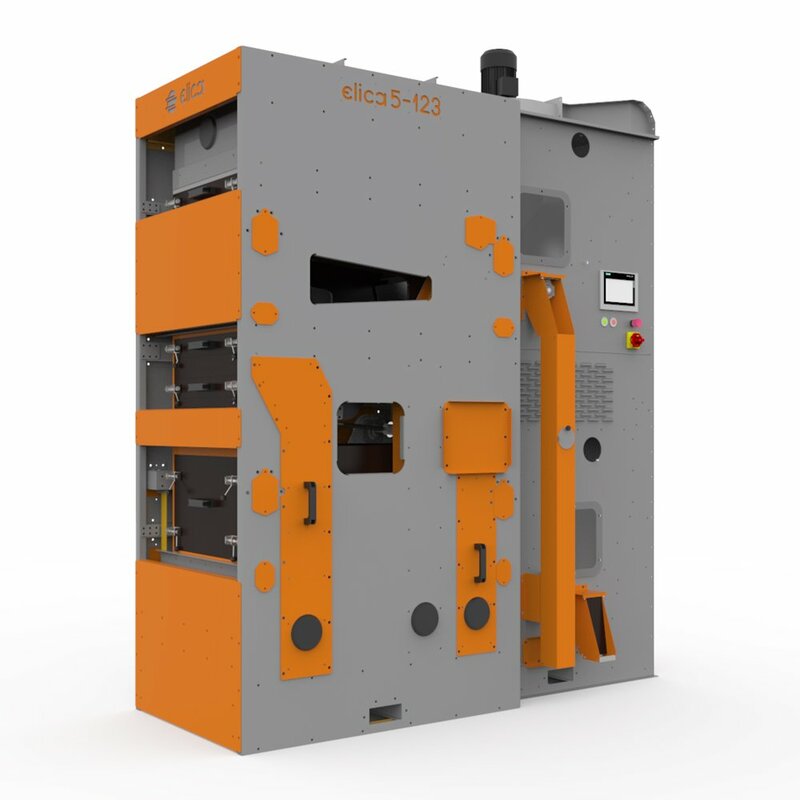 The software developed entirely by the team of ELICA allows the machine’s operator to create, save, organize and use again certain settings. These presets save time when preparing the machine for different types of crops. 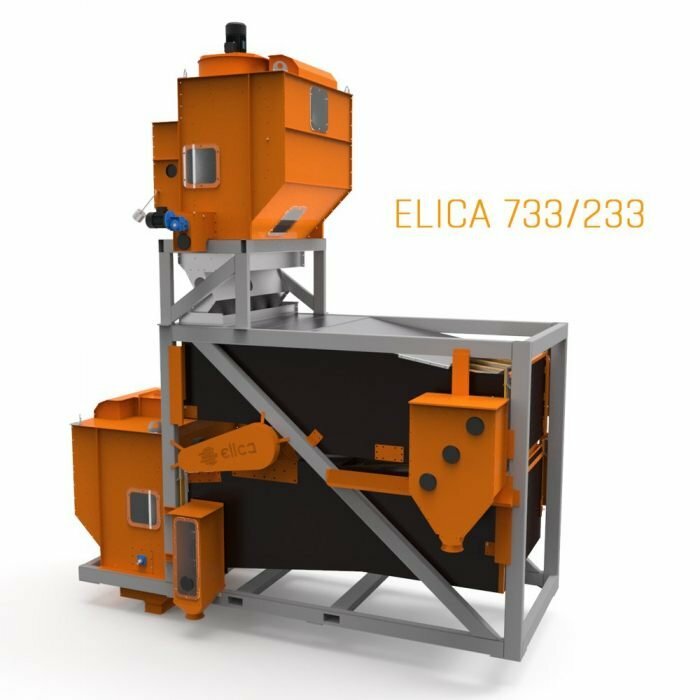 Elica 733 with a versatile design intended to work on high capacity to achieve excellent efficiency in pre-cleaning grain, as well as fine cleaning. 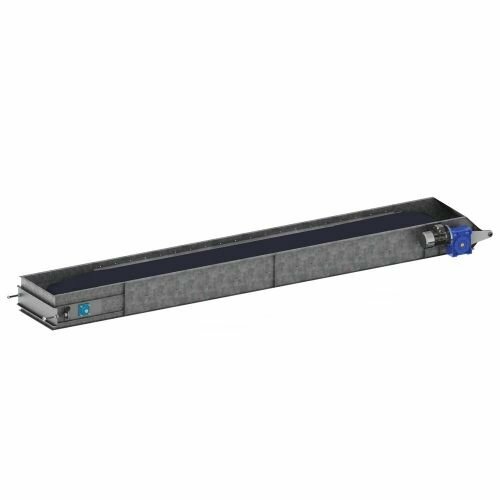 This model achieves its efficiency through a combination of features. The larger screen area combined with the increased inclination, along with the aspiration module provide precise cleaning and increased efficiency. 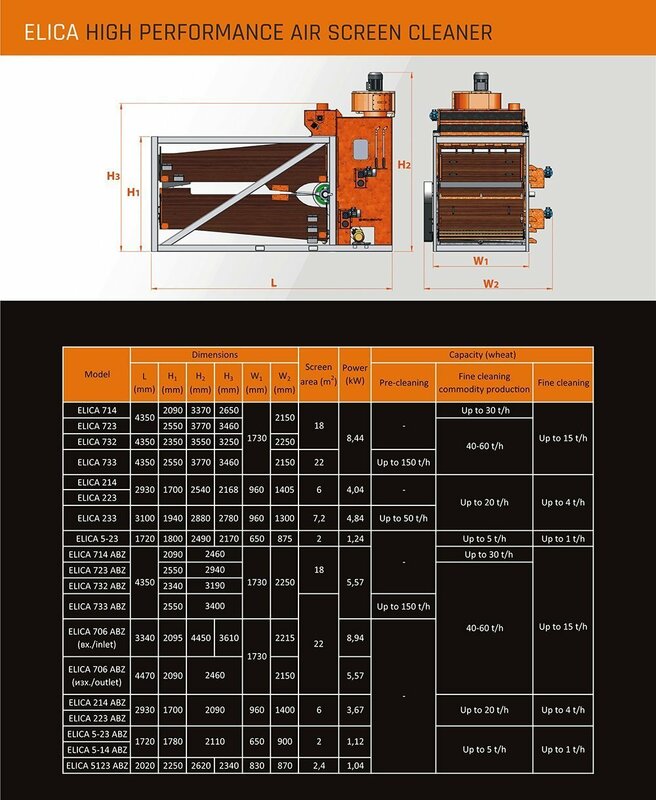 Elica 706 specially designed as a calibrator which separates two or even four fractions of seeds and grains. 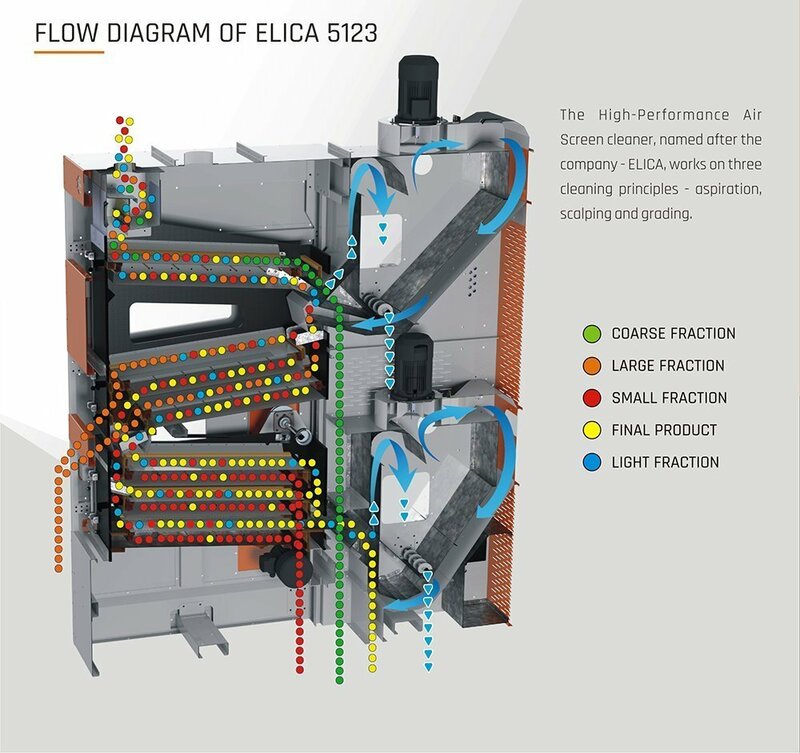 The High-performance Air-screen cleaner, named after the company- ELICA, works on four principles- aspiration, pre-cleaning, fine cleaning and grading.